If you’re expecting photos of the Amish, you’ll be disappointed. I don’t feel right taking pictures of them as “curiosities.” They lead a different lifestyle, for sure, but they’re not on exhibition. The closest I came was a horse and buggy. A nice surprise for me was the architecture, and lovely shops and restaurants. Does this mean I’m a big-city snob? Probably a little. Or maybe I just forgot how beauty can be found in little out-of-the-way places. 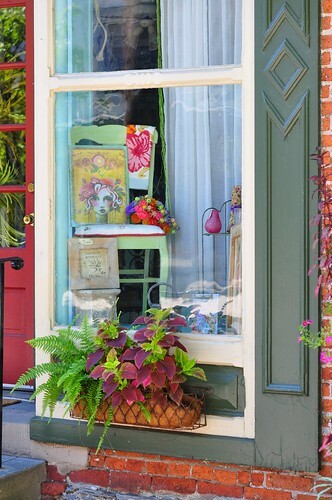 How pretty is this window display in Lititz, PA? 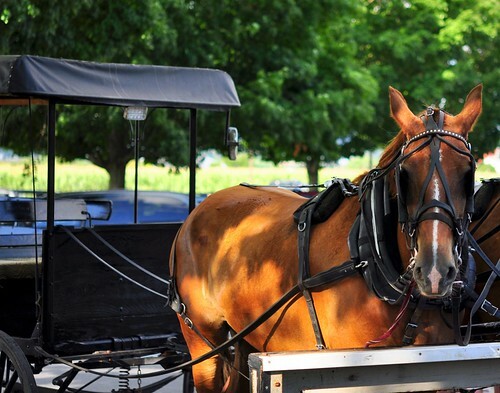 The Amish are known for simple living and modest dress, and a refusal to adopt modern conveniences like electricity. I have heard that some have relented a bit because they needed to use telephones to stay in contact with their customers. There are several quilt shops throughout the region, plus fruit and vegetable stands. If you go, plan around Sunday, because almost all Amish establishments are closed that day. 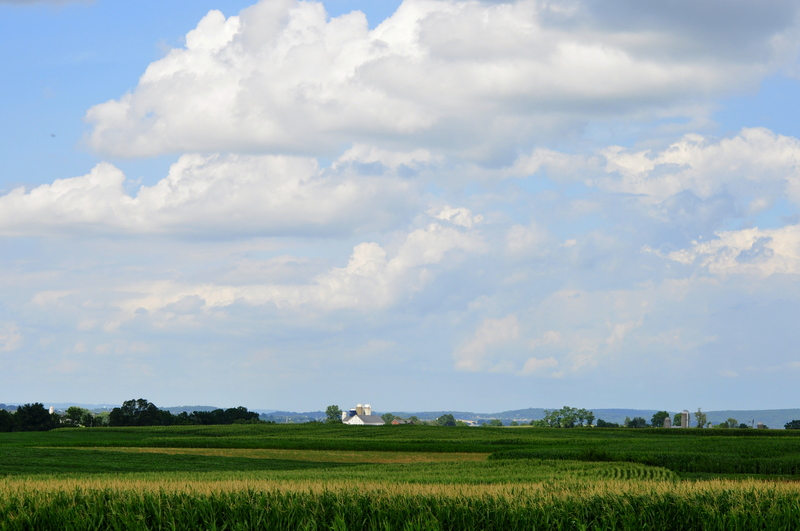 More pics from the Amish country tomorrow…. 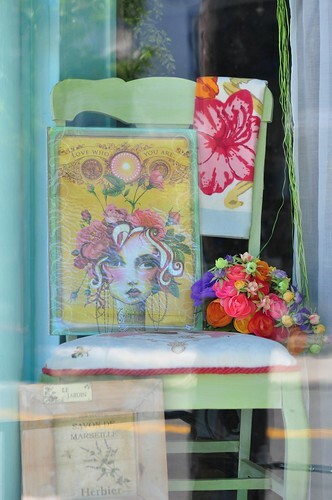 This entry was posted in photography, Travel and tagged Amish country, buggy, chair, horse, Lancaster County, Lititz, PA, Pennsylvania, shabby chic, window display. Bookmark the permalink. I love the color in these shots! Great job!